ToyDemon Turned 10 This Year! We want to start this post off thanking everyone again who completed our survey giving us valuable feedback and suggestions. Even though the new website was just launched not too long ago, we are still continuing to make tweaks to give everyone a better website experience. You may have already noticed a lot of the things were added since reopening and we have a lot more in the works. Did anyone notice that "EST. 2008" under our new logo? That's right, ToyDemon has been around 10 years! 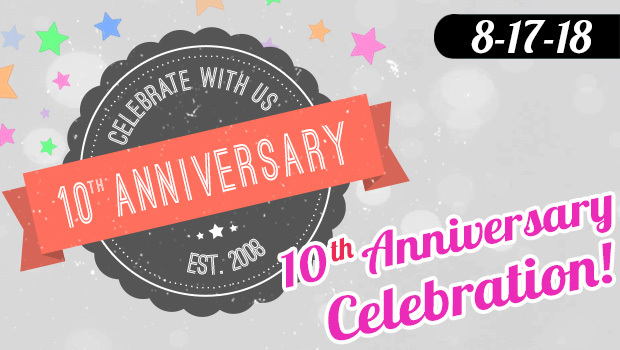 We've come a long way in 10 years and will continue to work hard in bringing you the best in goods and services. But we wouldn't be here if it wasn't for all of your support so a big thank you to all our customers.